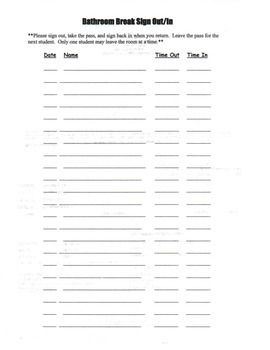 This file contains three useful printables for classroom management use. 1. Bathroom sign in/out log. I use this to ensure only one student has left the room at a time. 2. Clock Partners. If you have your students work with partners often, this is a good resource for students to fill in at the beginning of the year and keep in their notebook. 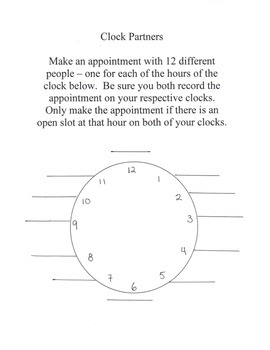 Students fill in the blanks with the name of another student for each hour of the clock. When it is time to pair up, the teacher simply needs to choose an hour and the class should pair up automatically with various partners. 3. 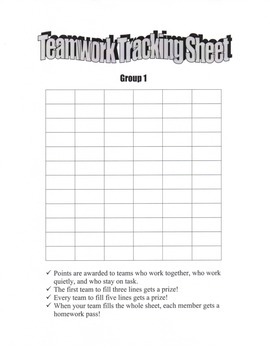 Teamwork Tracking Sheet. If you use group work often, this strategy can help teams stay motivated and focused with some positive reinforcement. While teams are working, the teacher can use a stamp to reward good teamwork. Teams can earn prizes (or points) for filling in levels of this tracking sheet.